Jaci Tomek, an imaginative and highly skilled sales executive, has more than 20 years of industry experience in cybersecurity, strategic business development, corporate strategy, sales and customer acquisition. Jaci offers an exceptional blend of business strategy acumen, product management expertise and strategic partnering skills. She is known for growing and operating high performing teams, expertise in operational forecast cadence and her “go get ‘em” attitude. 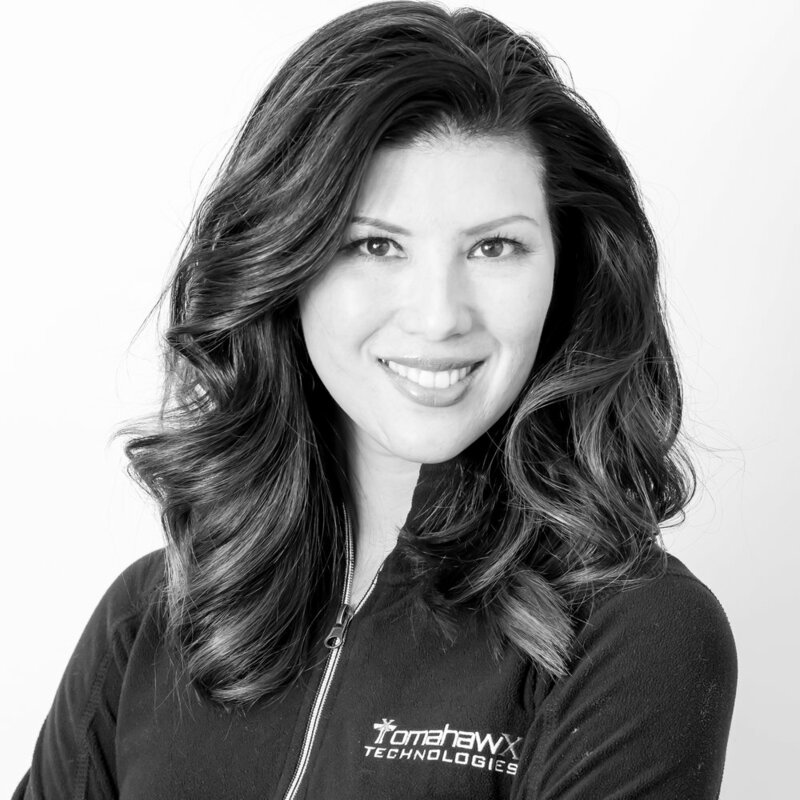 In 2018, Jaci founded TomahawX Technologies, a boutique consultancy to build, grow and operate high performing sales operations teams. TomahawX supports cybersecurity companies in all phases of growth. With a rare combination of technical, interpersonal and management skills to deliver services with the highest integrity and professionalism, TomahawX has grown to meet client needs and demand. Prior to TomahawX, Jaci served in executive positions and well-known brands in cyber solutions and sales services throughout the Washington D.C Metro area. She previously held the position of VP of Corporate Strategy and Sales in Reston, VA, a consulting and product/solution development services organization. Areas of expertise at LookingGlass included cloud-based platforms, global botnet monitoring and enhanced capability to operationalize threat intelligence. Prior to LookingGlass, Jaci was VP of Sales for iSight Partners, a forward-looking means of qualifying threats poised to disrupt business based on the intent, tools and tactics of the attackers. Tomek held the positions of VP Federal Sales for a computer and network security company RSA in Bedford, MA in addition to executive and leadership positions at Symantec Corporation. Robert Huber is currently the Chief Security and Strategy Officer at Eastwind Networks. He has more than 20 years of information security experience across financial, defense, and critical infrastructure sectors. At Eastwind he focuses on identifying business challenges and defining strategies to address those and grow Eastwind’s global customer base. Previously, Robert was the Vice President of Community at a cyber threat intelligence provider iSIGHT Partners. iSIGHT Partners acquired Critical Intelligence, the pioneering company Robert co-founded that provided industrial control systems cyber threat intelligence. Prior to Critical Intelligence, Robert was a Sr. Cyber Intelligence Analyst for Lockheed Martin’s Security Intelligence Center defending against advanced adversaries. Robert gained his industrial control systems experience while working as a Sr. Cyber Security Researcher at Idaho National Laboratory (INL) where he was tasked with analyzing the security of control systems, as well as security assessments for industrial control system owner and operators. Robert joined INL from JP Morgan Chase where he was a Vice President and the Chief Security Architect. In addition to his civilian experience, he is a member of the Air National Guard serving in a network warfare squadron performing computer network defense, attack and exploitation. Eric Hoffman has more than 15 years in sales, operations and business development experience in the technology industry, with a focus on security, sales operations and strategic alliances. Most recently Eric was the Worldwide Director of Channel Sales for Phantom, delivering more than 40% of the company's total revenue and expanding sales growth and partnerships to APJ, EMEA and ANZ. Global market leadership and strategic alliances were critical factors which led to the acquisition of Phantom by Splunk for $350 million. Previously Eric led public sector partner sales at Sourcefire, and later within the security sales organization of Cisco, which acquired Sourcefire for $2.7 billion. Eric has also held sales, operations and business development roles at Northrop Grumman, Digital Guardian and several public sector and commercial value-added resellers and system integrators.